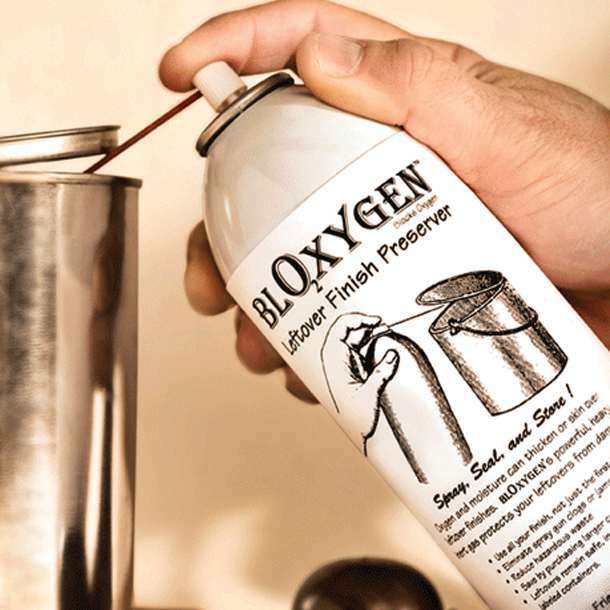 Bloxygen keeps part used cans of product fresh — saves a fortune on unused varnish, paint and resins. Bloxygen is an inert gas preservation system. It will allow you to store leftovers without oxygen or moisture damage. Using this natural but powerful system, you can ensure that you will get to use every drop of your varnish, paint, resin or stain, and not just the first half. For more information about Bloxygen, check out our frequently asked questions.